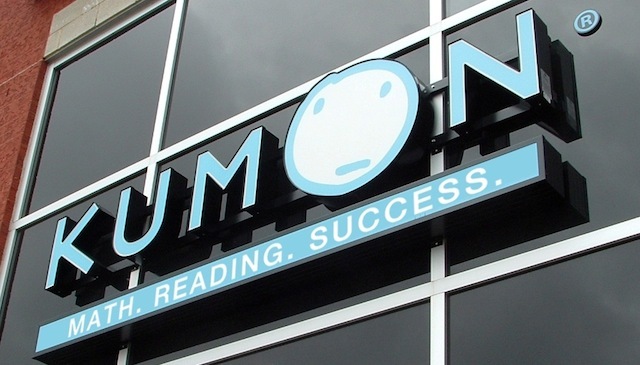 Kumon is one of the most widespread after-school learning institutions in the world. The company has been in business for over 50 years with 1200 locations across the globe. This, according to Forbes, makes them one of the top franchises to own. They have very low franchising fees and a highly organized training system. All that is required is for you to have business experience and a passion for learning. As an entrepreneur, you are probably wondering “How much is Kumon?” If you have an active interest in becoming a franchisee, follow this guide on buying a Kumon franchise. As a potential franchisee, it is important that you understand Kumon’s educational system. Kumon offers specially designed curricula and worksheets. They focus primarily on math and reading, with 22 math levels and 24 reading levels. Generally, the work will range from elementary to college level. Each student’s level is determined by a qualified teacher. Staffing is going to be incredibly important in this situation. You will either need to have educational expertise or skill in finding teachers. Once you have an idea of what is expected of a Kumon franchise, you can move on to the next step in acquiring one. How much is Kumon? Surprisingly, Kumon has an immensely low franchise fee of about $1000. If this is your first time franchising with Kumon, you get to subtract $500 from your initial deposit. There are a lot of additional investments like start-up training, rent, leasehold improvements, business uniforms (if you so choose) and liability. Ultimately, your total investments will add up to anywhere from $64,000 to $134,000. Kumon’s royalty fees work slightly differently from other franchises. For initial enrollments, they charge $15 times the number of students enrolled. After your temporary licensing period is up, that number rises to $32 times the number of students enrolled. Make note of these numbers. Then proceed towards the next step in buying a Kumon franchise. There are several terms of agreement that are unique to Kumon franchises. Firstly, you are not going to receive exclusive territory within the Kumon organization. You will be facing competition from other franchisees and centers owned by the franchisor. Also, your initial ownership term is five years long. You can renew this by an additional five years if your business is in good standing. The most important detail you need to note is that Kumon requires franchisees to instruct the students personally. You can hire additional staff to assist you, but you are going to be responsible for teaching classes. If you can agree to these terms, you can advance to the final step of buying a Kumon franchise. Kumon provides a comprehensive training program for all its franchisees. It consists of two semesters. These semesters are comprised of four courses in the first and two courses in the second semester. The entire program takes 4 to 5 months to complete. If you are successful in completing the first semester, you will be offered a franchise. Then, you will have to complete the second semester, where you will learn further franchise operations details, like how to use their accounting software and similar. Once that is done, you are required to travel to Kumon’s headquarters in Teaneck, New Jersey. This is where you will undergo a temporary licensing period. You will be able to run your franchise when all of this done. However, you will continue an “ongoing training” program for the entire duration of your initial term. Completing all of the steps in this section will ultimately lead to the successful purchase of a Kumon franchise. If you are starting to seriously consider buying a Kumon franchise, you definitely want to start getting to know your target audience now. You demographic is, obviously, going to be parents of young children and teenage children. Start preparing yourself and your future Kumon business for success by networking with this demographic. If you do not have any children of your own, ask your friends with children to help introduce you to other parents. This is an excellent way to build a solid network for you to capitalize on when you are able to open a Kumon franchise at a later date. Kumon is a very unique franchising opportunity. Before you even begin to wonder “How much is Kumon?” you will need to make sure you meet franchise requirements. Because Kumon is an educational institute, franchisees are required to have a background in teaching. You need in-depth knowledge of their system and an enthusiasm for working with students. You also must be able to finance the business yourself, no angel investing allowed. If you fit these requirements, you are set for one of the most affordable and profitable franchising opportunities on the market. Follow the steps in this guide and you will be on your way to becoming a Kumon franchisee.